Scattered thunderstorms. High 66F. Winds NNW at 5 to 10 mph. Chance of rain 60%..
An Annville woman is behind bars after police say she drove her daughter to a Waffle House after snorting methamphetamine. A Richmond police arrest report states officers were called to Waffle House on Keeneland Drive after receiving a report of a welfare check. When officers arrived, customers told them a woman was acting crazy inside the restaurant. Officers discovered the woman, identified as 34-year-old Alicia McGee of Annville, was with her 9-year-old daughter, and it was apparent she was under the influence because she was fidgety and couldn’t stay still. McGee would claim to officers she was drugged but later admitted to snorting a line of methamphetamine in Jackson County before making the drive with her daughter to the Richmond Waffle House. 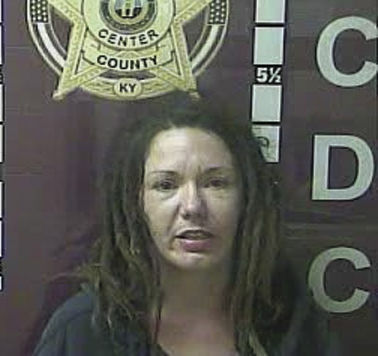 She was charged with public intoxication of a controlled substance and endangering the welfare of a minor.